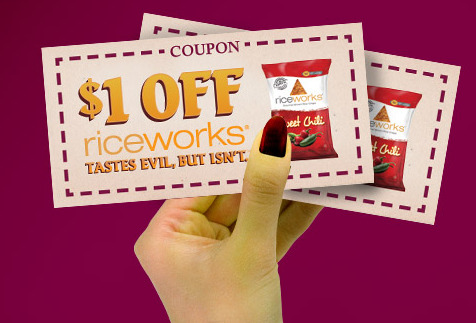 To help you stay on the healthy band wagon and "eat no evil" this Halloween, treat yourself and a friend with a coupon for $1 OFF riceworks®. Save yourselves from the terror of bad snacks! I recently tried Riceworks while at BlogHer in San Diego and they are VERY good! Use the chance at $1 off to try them yourself.